One Pittsburgh restaurateur is leading by example in recognizing the contributions of women to society. Don Mahaney, the owner of Scratch Food & Beverage, gave all of his female employees paid time off Wednesday in honor of International Women’s Day and the concurrent “A Day Without A Woman” strike. The business will also use the day to hold an evening fundraiser benefiting Planned Parenthood that will feature a brief bartending appearance by Pittsburgh Mayor William Peduto, his office confirmed to The Huffington Post. He credited his female bar manager, Mandi Crosby, with inspiring him to take charge after she requested the day off so she could attend outside events. Crosby, who Mahaney said is one of seven women among the restaurant’s 11-person staff, applauded his decision. NURPHOTO VIA GETTY IMAGES | Women carrying American flags and signs are seen marching for equal rights in Rome, Italy as part of the International Women’s Day on Wednesday. 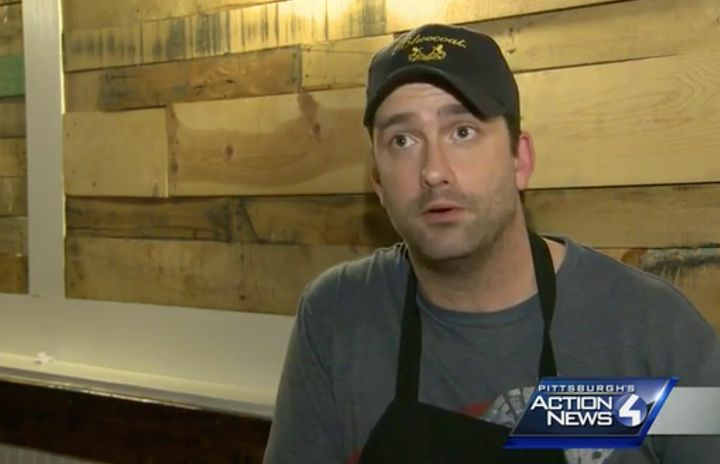 “I think everyone I’ve talked to about it so far thinks it’s a really awesome idea, and super generous of the owner Don to really step forward and say this is how it always should be,” she told local station, WTAE. In the ladies’ absence, Mahaney said that local wellness program, Farm to Table Pittsburgh, will provide male bartenders to cover the women’s shifts, as the fundraiser will take place in the restaurant’s bar area. Those looking to get a drink from Pittsburgh’s mayor will get a chance between 8:15 p.m. and 8:45 p.m., a spokesperson told HuffPost. “They’re a great organization that does a lot to offer general health and reproductive health services and they’re more or less under constant attack,” he told the paper. “People are entitled to their opinions,” he responded.